Compatible with iPad Air (3rd generation), iPad mini (5th generation), iPad (6th), iPad Pro 12.9 inch (1st and 2nd generations), iPad Pro 10.5 inch, and iPad Pro 9.7 inch. 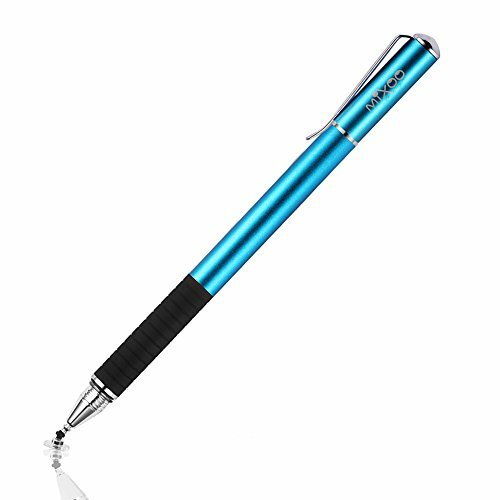 Mixoo stylus pen has an excellent weight in your hand which leads to a luxurious feel alone with the nice padding on the precision end. It gives you a real pen feeling. Compatible with most capacitive touch screen devices including ipad, iphone, kindle,kindle fire, samsung galaxy phones, tablets and smart phones. NOTE: Do not compatible with Lenovo yoga 720. Tips of both sides are replaceable and it's easy to be done in second without tool. Each stylus pen is provided with extra 2 disc tips and 1 fiber tip. 1: Please do not rip or cut off the plastic blob on the end of the tip; This part is to receive and conduct touch screen signal, without which the styli can not work normally. We do not recommend purchasing Mixoo stylus pens if you are using this kind of phone case. However, Mixoo stylus can be applied to other most common phone cases. High-sensitivity conductive fiber The conductive fiber of abiow's touch tip seems identical to that of ordinary products, but in fact, it is obviously different. Specifically, we have mixed the conductive fiber with silver able to enhance sensitivity. (Ordinary conductive fibers do not contain silver.) The use of the silver-contained fiber can improve the sensitivity and thus make your operation much smoother. Environment-friendly replaceable tip The touch tip is replaceable. The disc head can be pulled down. The conductive fiber end is equipped with a screw-type replaceable head. Both can be available for easy replacement of the tip. After the tip is worn, you can buy a tip suite to replace it alone.One tip suite includes 6 disc tips.One conductive fiber tip suite includes 20 tips. Cap plug-in touch pen exclusively designed by aibow Is it wasting your time to screw off the pen cap?The pen caps designed and produced by other companies are all screw-type ones, so it will take you about 10 seconds to screw down each cap.If you use such a pen six times a day, it will waste one minute, 30 minutes and six hours in a day, a month and a year respectively.The two-in-one high-sensitivity touch pen produced by aibow adopts a plug-in cap, so it can reduce the time waste by 90%. --Writing: GoodNotes, UPAD3, Noteshelf, Notes Plus, Notability, etc. --Drawing: ArtRage, Procreate, Sketches, Paper, SketchBook, ArtStudio, Zen Brush, etc. --Drawing: Autodesk SketchBook, ArtFlow, Painter, Design, Zen Brush, etc. 1. Press on the power on button. Open recommended drawing/writing applications in your device andchange the input method to handwriting. 3. There you go. Enjoy design with the stylus as you want. Now you can start using it. 4. Tip: there isn't bluetooth connection or cable connection with your device. 3. You will see there is an option for "Apple Pencil", turn off this function "Only Draw with Apple Pencil"
4. Now you can using our stylus as expected. If you have any question or concern, just let us know, we will help on troubleshooting and step by step guide. 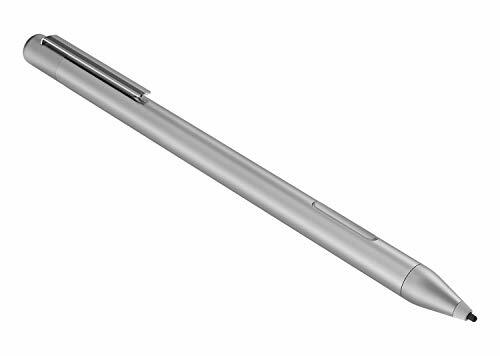 About the Stylus Fine, Light, Brief stylish design with 146mm length, 13.3g weight, 1.5mm tip for smoothly writing and drawing. More sensitive with long time wearing at best performance.Best Stylus for artist,journalist,teacher and students etc. No Bluetooth Required There is no bluetooth connection required for this stylus.If you are not aware of this, you might get confusion with other products. Wide Compatibility It is compatible with most touchscreen devices, like Apple iPhones, iPads,iPad Pros, Samsung Tablets and cellphones. We are providing one economic option comparing the original Apple iPencil but please don't think it is the same. Different Price, different product IMPORTANT Some devices and applications are not supported this.Contact Us before purchase! If you are using 2018 new iPad series or iPad Air 2,we suggest you to purchase Apple Pencil. Precise Point Control With buffer unit at Tip design gives you more accuracy and control against tablets and cellphones screen. No resistance when drawing and writing as real pen. TIPS Hold the stylus with a slight inclination angle to the screen will have better writing experience. Using screen protector will not affect the performance, if your device has one protector, you can use it without any worries. After Sales Service - Quality problems occur within one year replacement, if you're not completely satisfied, then CONTACT US and we will give you a 100% refund within 90 days of purchasement. It is our intention to offer the BEST customer service on Amazon. The new Intuos4 Grip Pen features Wacom's new tip sensor technology and 2048 levels of pressure. 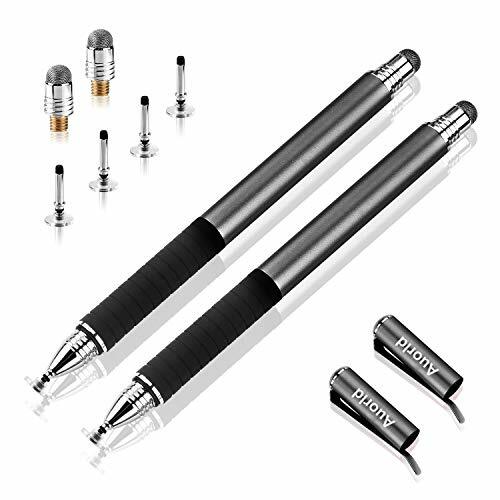 Mixoo stylus pen has an excellent weight in your hand which leads to a luxurious feel alone with the nice padding on the precision end;It gives you a real pen feeling. The 2mm rubber point of the disc tip(diameter is 6.8mm) allows you select small icons, click small alphabet and gives you the accurate selection. With the transparent disc, you can see exactly where you're pointing at,it's perfect for drawing apps. Tips of both sides are replaceable and it's easy to be done in second without tool. Each stylus pen is provided with extra 4 disc tips and 2 fiber tip. 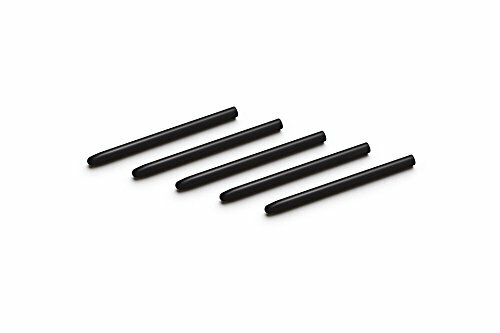 Specifically designed for use with most previous generation Wacom pens, these standard nibs come in a set of 5, and can be easily attached to the tip of your Wacom pen to replace worn nibs. This nib is the standard Black nib that ships with most Wacom pens. The Slate lets you keep the natural and unique sensations of your Pencil gliding over paper while benefiting from the Endless possibilities of digital. Thanks to a simple Ring placed on your Pencil, your sketches instantly come to life on your tablet, smartphone or computer screen. offering tools with unique rendering (brushes, pencils, felt-tips, marker...) The imagink app allows you to embellish your creations and share them in an instant with your friends as an image or a timeless video. 2 in 1 Tablet supports fingerprint recognition--Chuwi HI10 AIR 2 in 1 Tablet is a cost-effective notebook which supports fingerprint recognition. Equipped with a 10.1 inch FHD display with full IPS screen, brings your photos and videos to life. Powered by Intel Core processor--Featuring Gen 8 graphics processor, ensures high performance. 64GB huge hard disk storage brings you smooth using experience. 2.4GHz/ 802.11b/g/n WiFi supported, ensures you high-speed surfing. Microsoft Windows 10 OS--Offers more powerful performance brings you more smooth and wonderful user experience.Intel Cherry Trail X5 Z8350 Quad Core max up to 1.92GHz.Ultra-low-voltage platform and quad-core processing provide maximum high-efficiency power. 2.0MP front camera and Face-to-face Chat--allows you to capture memorable moments or chat with friends.You can connect the device to an HDTV or high-definition monitor to set up two screens side by side or just enlarge pictures. Integrated all-metal body, support for H2 stylus and keyboard,ultra-thin body, long battery life.Extended storage max up to 128GB with TF card provides for users who needs more storage. 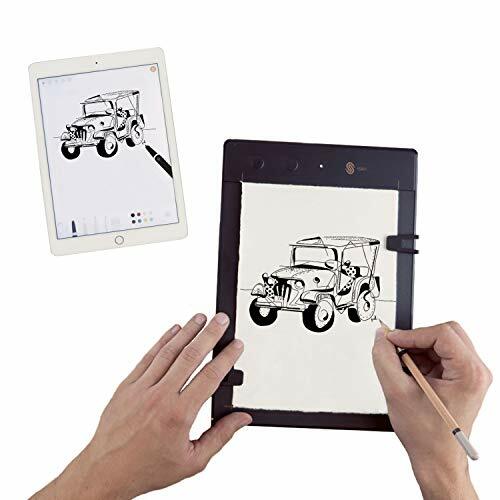 2019 Newest active stylus for iPad provides you the most professional equipment and professional experience. 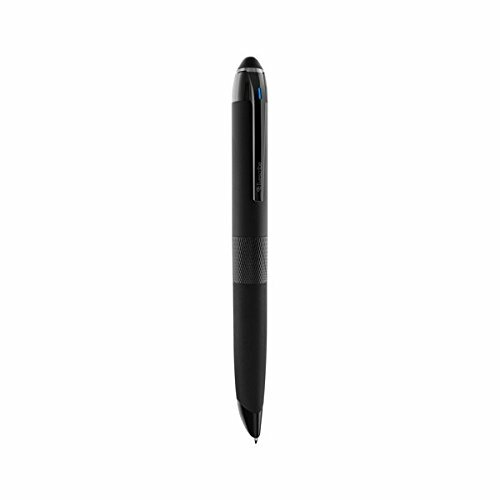 This stylus pen are specifically designed for creative work, it is the best digital stylus pen. 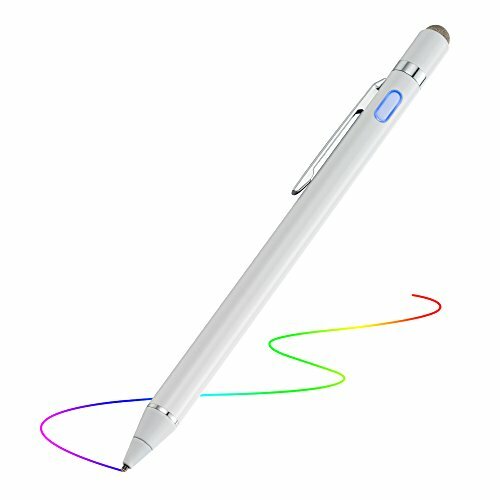 With advanced features like angle detection, the stylus makes the drawing, sketching and painting a pleasant experience. With this pen, you can feel with a better experience to write on the paper rather than using a finger on the tablet's screen. The iPhone stylus can be used directly on iPad, iPad mini, iPad pro and iPhone. Just pressing the power button and you can take a note or draw on your touch screen devices. 48 hours continues use for only 1.5 hours charge and it will be power off after 5 minutes inactive, energy saving up to 30%. You can charge it via AC adapter, power bank, computer (5V/0.2A). 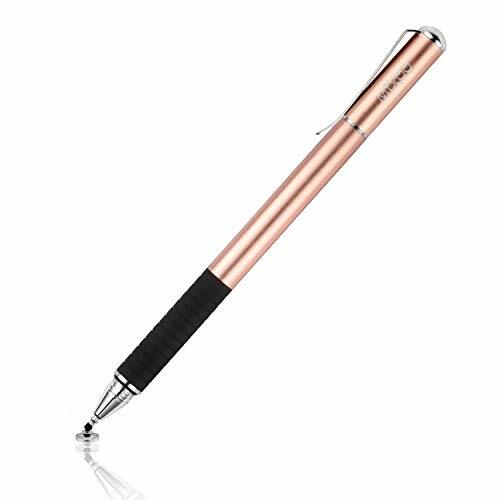 The Stylus for iPad included 1.5mm copper fine point precision tip features sensibility adjustment function to offer accurate writing and sketching experience. At the other end, we have the mesh tip, it has a nice amount of friction and bounciness when used on screen and it is more comfortable to use for tapping and scrolling. 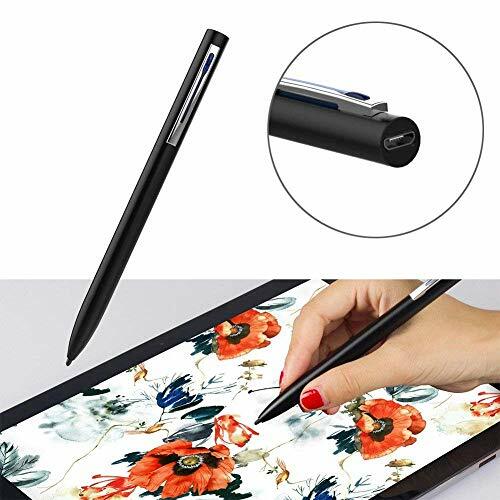 2019 Newest 2 in 1 Active Stylus Pen: This upgraded superior stylus adopts new technology to design a slender pen body and comfortable hand feeling. 1.5 mm Ultra fine copper tip gives you the accuracy and sensitive control. The mesh tip can be used when the battery runs out. User-Friendly Design: This iPad Pencil can be written directly on iPad or iPhone, just pressing the button once (Blue light on) and you can draw or write on your touch screen devices. No USB or Bluetooth required. Please notice that this pen has NO Bluetooth function. Long-Lasting Battery Life: The stylus supports 48 hours continuous use for only 1.5 hours per charging. You can charge it via AC adapter, power bank or computer (5V/0.2A). The pen will be automatically power off after 5 minutes inactive, it will dramatically extends battery life, energy saving up to 30%. 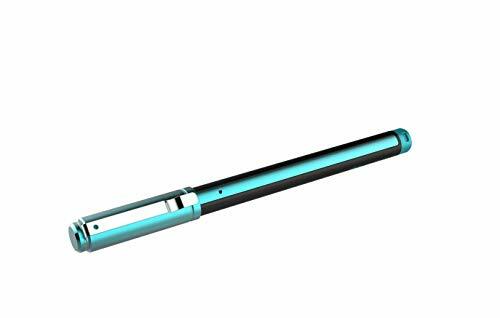 Specially for IOS Devices: This active stylus pen are specially design for most Apple devices: iPhone 7/7 Plus, iPhone 8/8 Plus, iPhone X, iPhone XS MAX, iPhone XR, iPad, iPad 2, The new iPad, iPad 4, iPad mini, iPad Air, iPad mini 2, iPad mini 3, iPad mini 4, iPad pro, iPad 2018. Warm Services To You: We offer customers 60 days money back guarantee and one year repair warranty. The package include: Stylus Pen*1, Replacement cap*1, USB Charge Cable*1, Pen Holder*1. We provide the most satisfaction service to our customers. With the Livescribe 3 smartpen and the Livescribe+ mobile app, simply write on paper and watch it instantly appear on your tablet or smartphone. Your notes become infinitely more useful when they are tagged, organized, searchable, or even converted to text. Easily add recorded audio that's synced with your handwriting so you can relive important moments. Quickly share notes and ideas with friends, colleagues, and peers-all with just a few quick taps of your finger. Aegir Smart pen delivers the traditional benefits of pen and paper combined with all the power of digital notes. The pen uses Bluetooth to automatically sync data with both mobile (iOS and Android) and desktop (Windows) devices using the free live scribe+ companion app. Search for terms within your handwriting. Use the Livescribe+ app to search your handwritten notes and find what you need, when you need it. Custom tags keep your notes organized. 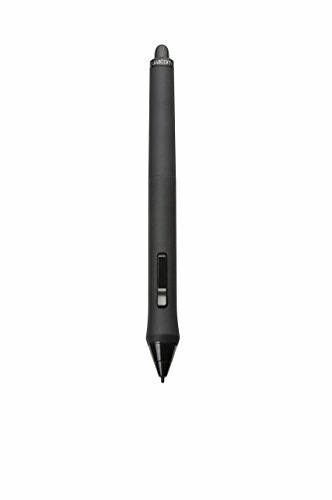 1024 Levels of Pressure Sensitivity: provide highly sensitive and precise writing & painting experience. HP Pen is able to judge the strength that you applied on the nib accurately.Press harderfor thicker lines; lighter for thinner one. Without any lag and offset when writing,much like a real pen. 300 days playing time & Two Side Buttons : New Pow HP Pen equipped with ultra low power IC, and it will automtically go to sleep when the accelerator detects that the pen is not moving. Each new battery gives you 300 days of scribbling,sketching,and editing.Let idea never stop. The quick wipe and the right mouse botton improve your work efficiency and save your time to create more fresh ideas. Choose writing style you like: New Pow HP Pen matches two exchangeable pen nibs of different sizes and materials. In order to provide more personalized and realistic screen feel, the user can choose a soft nib or a hard nib. Have you ever had a great idea, or, found yourself in the mood to be creative? 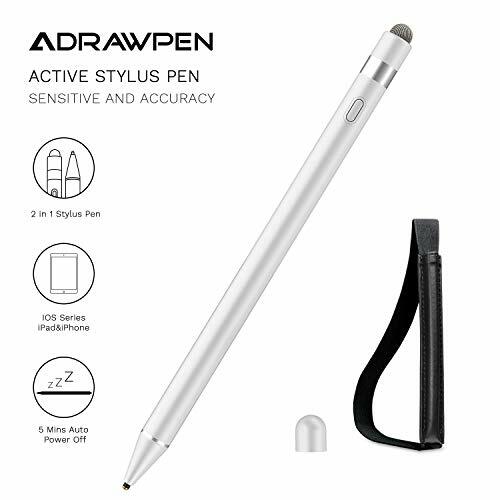 Now, you can simply pick up your Adrawpen digital pen, instantly start your favorite pen-enabled apps, and begin noting or sketching down anything that comes into your mind. The Adrawpen digital pen is designed for an enhanced natural and authentic writing experience that is optimized for Windows Ink with MPP protocol. Using this Adrawpen pen will turn a high-tech smart stylus on a digital screen, into your very own holistic and natural creative experience. High tech pressure sensing turns every stroke of the Adrawpen digital pen into a precise digital reflection of your own ideas. Our two easily replaceable soft and hard nibs enable a more personalized, authentic on-screen feel. 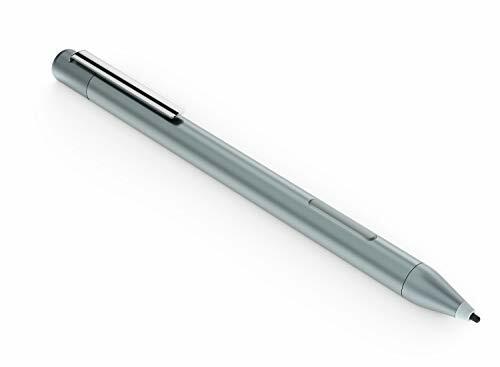 A highlight of the Surface pen is its realistic "pen-like" feel, with excellent grip and an ergonomic design to provide only the best service for you through a comfortable Pen-to-Hand experience - fit for hours of use. Enhance the speed and quality of your work by using the two built-in "Right-Click" and "Erase" buttons. - Disassembling the pen is not recommended. - Keep away from temperatures that are above or below recommended thresholds. - Avoid exposing this pen to fire. - Pen is designed as a standalone product. Not compatible with bluetooth signals, or other apps. - OneNote shortcut is not supported. - Stylus pen is not equipped with magnetism. NEW GENERATION: The new Adrawpen digital pen has been completely redesigned to provide even better functionality than ever before. 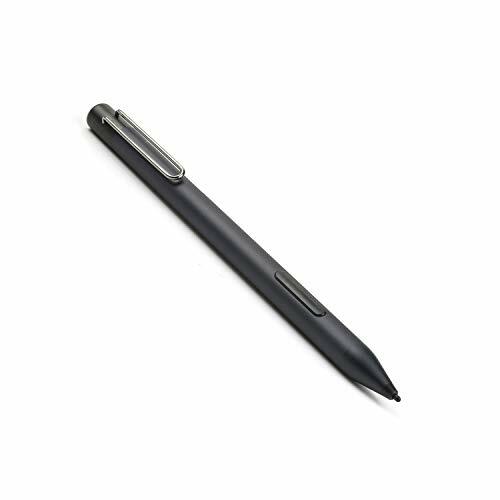 We equipped the pen with incredible 4096 levels of pressure sensitivity. Our new generation surface pen provides palm rejection technology and enables enhanced writing and drawing without perceptible lag - just like a real pen. 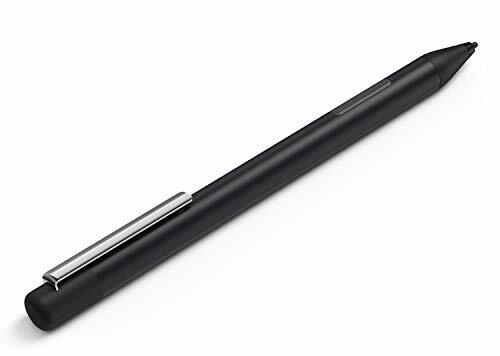 THE EASE OF A ADRAWPEN PEN: The Adrawpen surface pen has been designed with user friendliness in mind, thus it does not require any bluetooth pairing or additional driver installation to function. To ensure more efficiency and comfort our pen was equipped with a built-in Right-Click and Erase button. You can freely use the pen without the necessity of a computer mouse. 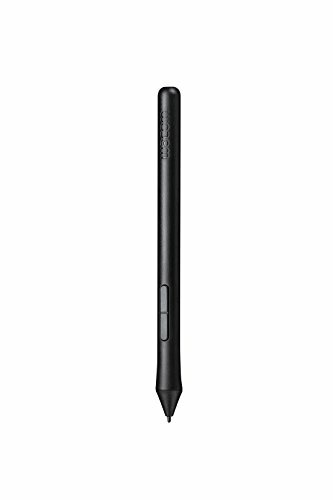 A WRITING STYLE THAT MATCHES YOU: The Adrawpen surface pro pen comes with two separate sizes of exchangeable pen nibs. For a more authentic on-screen feel, you can choose between a soft nib or hard nib, depending on your personal style and desire. 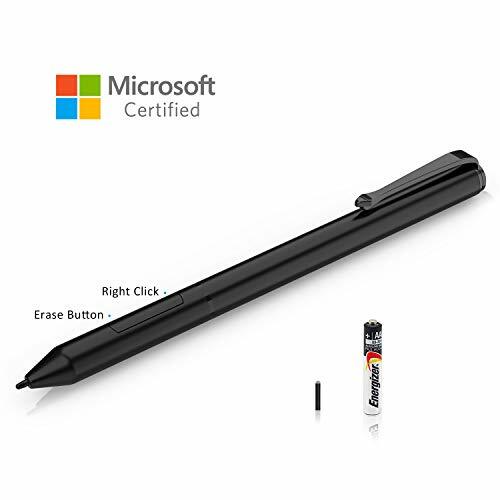 COMPATIBLITY: The Adrawpen stylus pen functions with the following devices: Surface Pro 6, Surface Go, Surface Pro(2017), Surface Book, Surface laptop, Surface Studio, Surface Pro4, Sony VAIO Duo 13, Duo 11, HP Spectre x360(2017). *NOT Compatible with Surface Pro1, Pro2 and RT. WE STAND BEHIND OUR PRODUCTS: Adrawpen offers customers a 24/7 online support, a 100% Money-Back guarantee, a 1-Year replacement warranty, as well as standard life-time technical support for their product. The pen body use meticutous workmanship, imitate the real pen in appearance, It conforms to Ergonomic aesthetic and your hand, the pen with Full Metal case. The pen body use integration Design to ensure the continuity and stability of tip positioning signals, so when you hold a pen,you will feel more natural and enjoy chasing inspiration. It can continuously work 20- 22 hours after fully charging .It can provide long-term writing experience, you needn* t worry about re-charge. The Fine, hard and smooth experience gives you a feeling as you use a ballpoint. When use it will no longer be blocked by thick rubber brush strokes to make writing pen and paper. Auorld stylus pen has an excellent weight in your hand which leads to a luxurious feel alone with the nice padding on the precision end. It gives you a real pen feeling. The 2mm rubber point of the disc tip(diameter is 6.8mm) allows you select small icons, click small alphabet and gives you the accurate selection. With the transparent disc, you can see exactly where you're pointing at, it's perfect for drawing apps. 1. Please do not rip or cut off the plastic blob on the end of the tip; This part is to receive and conduct touch screen signal, without which the styli can not work normally. We do not recommend purchasing Auorld stylus pens if you are using this kind of phone case. However, Auorld stylus can be applied to other most common phone cases. 3. Not suitable for children under 3-year old, contains small parts, be care of danger of swallowing by children. 1. Bluetooth Function is NOT included, OneNote shortcut not supported. 2. The pen comes with 2 different Tips (H & HB),you can choose the pen tips according to your own preference. 3. Before you buy this product, be sure to check the the compatible model you want. [Chip Certified Via Microsoft & 1024 Levels of Pressure Sensitivity] LAP POW Digital Pen is certified by Microsoft. Confirmation of product safety and high sensitivity. Provide highly sensitive and precise writing & painting experience. It is able to judge the strength that you applied on the nib accurately. Sketch,write, and erase naturally with no perceptible lag between the Pen tip and your line, just like you would on a sheet of paper. [Compatible device] Compatible with Dell Inspiron 13 7370 (Touch Screen only), Inspiron 7373 2-in-1, Inspiron 7378 2-in-1, Inspiron 7386 2-in-1, Inspiron 15 7570 (Touch Screen only), Inspiron 7573 2-in-1, Inspiron 7579 2-in-1, Inspiron 7586 2-in-1. ; Sony VAIO Z Flip (VJZ13BX0211B); Acer Spin 5, Acer Nitro 5 Spin and more. 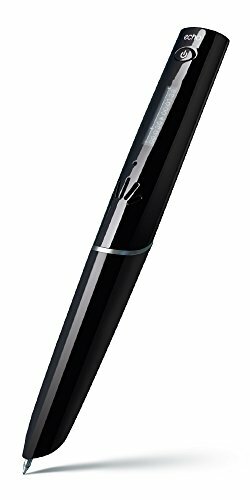 [300 days playing time & Two Side Buttons] LAP POW Digital Pen equipped with ultra low power IC, and it will automtically go to sleep when the accelerator detects that the pen is not moving. Each new battery gives you 300 days of scribbling,sketching,and editing.Let idea never stop. The quick wipe and the right mouse botton improve your work efficiency and save your time to create more fresh ideas. 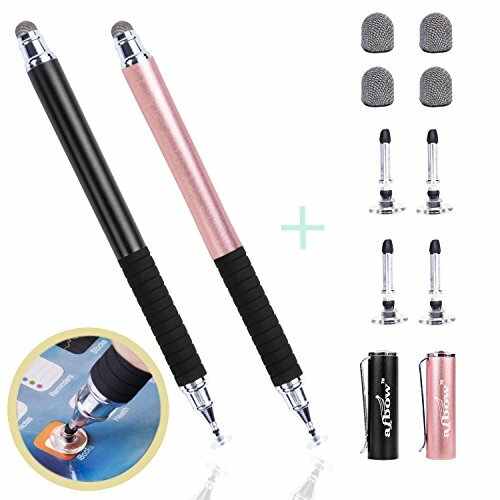 [Change the writing style at any time] LAP POW Digital Pen matches two exchangeable pen nibs of different sizes and materials. In order to provide more personalized and realistic screen feel, you can choose a soft nib or a hard nib, it can meet your more writing requirements. Warranty: New Pow Provide customers with a satisfied service experience. 30 Day Money Back Guarantee and 12 Months Free Warranty. 1. No Magnetic, can not be adsorbed to the side of tablet like original surface pen. 2. Bluetooth Function is NOT included, OneNote shortcut not supported. 3. 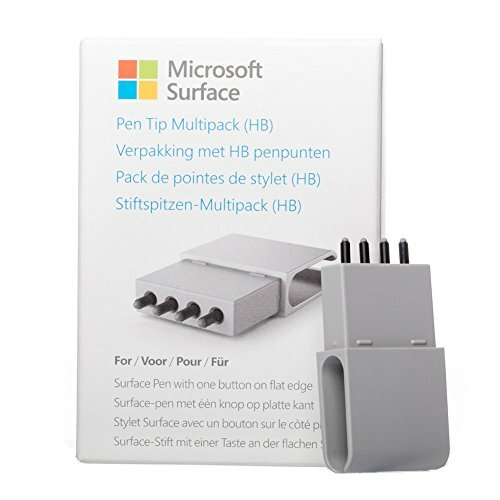 It is not compatible with Surface Pro 1, Surface Pro 2 and Surface RT. 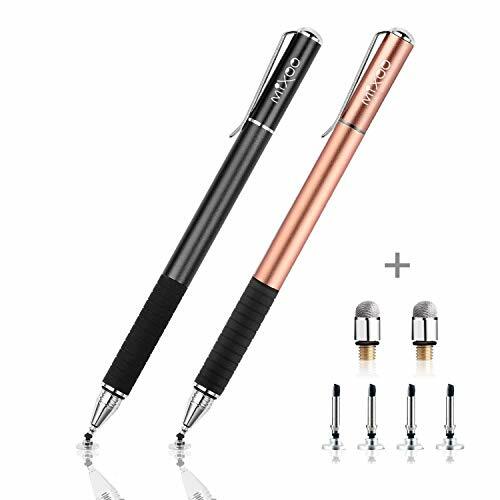 Perfect design :Made of High-quality aluminum alloy,Two button built in the pen: Erase and Right-click.High performance and natural writing experience. 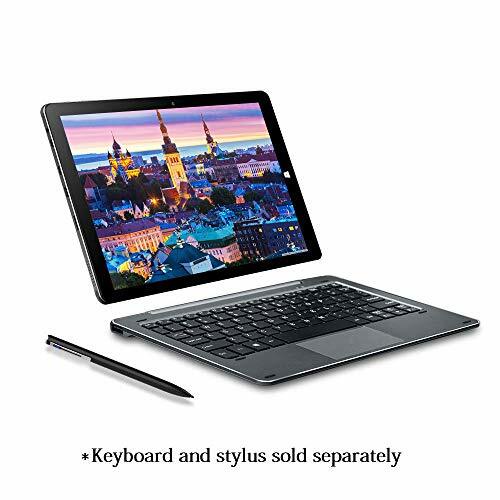 Extensive compatibility :Compatible with Microsoft Surface Go, Surface Pro 3/Pro 4/Pro 6/Pro 2017/Pro 2018, Surface Book 2 , Surface Laptop/Studio.It is also compatible with Asus, HP and Sony, but is not compatible with Surface Pro 1, Surface Pro 2 and Surface RT. Easy to operate and carry :No Drivers or Bluetooth Connection are Required,Wireless Connection,Easy to Operate, Put in the AAAA Battery then use it.Book, Bag or Pocket - Clip it and Carry it Anywhere. 100% quality guarantee :90 Days for a No-Question-Asked Refund,24h Respond E-mail Time,1 Year Warranty and Lifetime Support Guarantee. 1024 Levels of Pressure Sensitivity: provide highly sensitive and precise writing & painting experience. ASUS Pen is able to judge the strength that you applied on the nib accurately.Press harderfor thicker lines; lighter for thinner one. Without any lag and offset when writing,much like a real pen. 300 days playing time & Two Side Buttons : New Pow ASUS Pen equipped with ultra low power IC, and it will automtically go to sleep when the accelerator detects that the pen is not moving. Each new battery gives you 300 days of scribbling,sketching,and editing.Let idea never stop. The quick wipe and the right mouse botton improve your work efficiency and save your time to create more fresh ideas. Choose writing style you like: New Pow ASUS Pen matches two exchangeable pen nibs of different sizes and materials. In order to provide more personalized and realistic screen feel, the user can choose a soft nib or a hard nib.